When residents of Henderson, KY, need closet organizers, they turn to the professionals at 31-W Insulation. We’ve been providing home remodeling services since 1972, making us one of the area’s most experienced contractors. We understand the importance of providing top-notch home improvement products that will provide the functionality our customers need while standing the test of time. 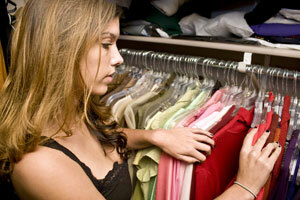 To this end, we exclusively offer closet organizers from ClosetMaid. Discover for yourself why 31-W Insulation is the home improvement company of choice for so many homeowners in Henderson, Kentucky, and entrust us with the installation of your custom closet systems. No matter which rooms you need help organizing, you can customize your closet organizers to match your rooms’ décor. With your choice of wire or laminate/wood components in an assortment of colors, you can design shelving systems that completely suit your style. To learn more about the closet organizers we offer in Henderson, Kentucky, and surrounding areas, contact 31-W Insulation today and schedule a complimentary consultation. Don’t forget to ask about our other home improvement services, including the installation of bathroom mirrors, shower surrounds, fireplaces, attic insulation, and more.